SIRIUSXM SATELLITE RADIO & HD RADIO -inc: 3-month complimentary service, RADIO: MERIDIAN 380W SOUND SYSTEM -inc: dynamic volume control, voice control and Bluetooth connectivity, POWERED TAILGATE, KEYLESS ENTRY, HOMELINK GARAGE DOOR OPENER, FIXED PANORAMIC ROOF, DRIVE PACKAGE -inc: Adaptive Cruise Control w/Queue Assist, High Speed Emergency Braking, Blind Spot Assist, Adaptive Speed Limiter, CHROME SIDE WINDOW SURROUND, CAESIUM BLUE METALLIC, 2 ADDITIONAL POWER SOCKETS. This Jaguar E-PACE has a strong Intercooled Turbo Premium Unleaded I-4 2.0 L/122 engine powering this Automatic transmission. * Experience a Fully-Loaded Jaguar E-PACE S *Wheels: 18 9 Spoke -inc: Style 9008, Wheels w/Silver Accents, Valet Function, Trip Computer, Transmission: ZF 9-Speed Automatic, Transmission w/Driver Selectable Mode and Sequential Shift Control, Tires: 18 All-Season, Systems Monitor, Strut Front Suspension w/Coil Springs, Streaming Audio, Steel Spare Wheel, Smart Device Integration, Side Impact Beams, Rigid Cargo Cover, Remote Releases -Inc: Power Cargo Access and Power Fuel, Remote Keyless Entry w/Integrated Key Transmitter, Illuminated Entry and Panic Button, Rear Fog Lamps, Rear Cupholder, Real-Time Traffic Display, Rain Detecting Variable Intermittent Wipers. * Stop By Today *For a must-own Jaguar E-PACE come see us at Jaguar Palm Beach, 915 S. Dixie Hwy, West Palm Beach, FL 33401. Just minutes away! Wheels: 18 9 Spoke Sparkle Silver -inc: Style 9008, Valet Function, Trip Computer, Transmission: 9-Speed Automatic, Transmission w/Driver Selectable Mode and Sequential Shift Control, Tires: 18, Systems Monitor, Strut Front Suspension w/Coil Springs, Streaming Audio, Steel Spare Wheel. This Jaguar E-PACE has a dependable Intercooled Turbo Premium Unleaded I-4 2.0 L/122 engine powering this Automatic transmission. * Experience a Fully-Loaded Jaguar E-PACE S *Smart Device Integration, Side Impact Beams, Rigid Cargo Cover, Remote Releases -Inc: Power Cargo Access and Power Fuel, Remote Keyless Entry w/Integrated Key Transmitter, Illuminated Entry and Panic Button, Rear Fog Lamps, Rear Cupholder, Real-Time Traffic Display, Rain Detecting Variable Intermittent Wipers, Radio: Jaguar Sound System -inc: navigation pro, connect pro pack (pro services, Wi-Fi hotspot and smart settings), dynamic volume control, voice control and Bluetooth connectivity, Radio w/Seek-Scan, Clock, Aux Audio Input Jack, Steering Wheel Controls, Radio Data System and External Memory Control, Quasi-Dual Stainless Steel Exhaust w/Chrome Tailpipe Finisher, Proximity Key For Push Button Start Only, Power Rear Windows, Power Rear Child Safety Locks, Power Door Locks w/Autolock Feature, Power 1st Row Windows w/Front And Rear 1-Touch Up/Down, Permanent Locking Hubs, Perimeter/Approach Lights, Perimeter Alarm. * Visit Us Today *Treat yourself- stop by Jaguar Palm Beach located at 915 S. Dixie Hwy, West Palm Beach, FL 33401 to make this car yours today! Wheels: 17 7 Split-Spoke Alloy (Style 7010), Valet Function, Trunk Rear Cargo Access, Trip Computer, Transmission: Electronic 8-Speed ZF Automatic -inc: ZF 8HP45, JaguarDrive Control w/normal, eco, dynamic and rain/ice/snow mode and steering wheel mounted shift paddles, Tires: 17, Tire Specific Low Tire Pressure Warning, Systems Monitor, Side Impact Beams, Seats w/Leatherette Back Material. This Jaguar XE has a dependable Intercooled Turbo Premium Unleaded I-4 2.0 L/122 engine powering this Automatic transmission. * Experience a Fully-Loaded Jaguar XE 25t Premium *Remote Releases -Inc: Power Cargo Access and Power Fuel, Remote Keyless Entry w/Integrated Key Transmitter, Illuminated Entry and Panic Button, Rear-Wheel Drive, Rear Fog Lamps, Rear Cupholder, Rain Detecting Variable Intermittent Wipers, Radio: Meridian 380W Sound System -inc: InControl Touch 10 touchscreen, voice control, dynamic volume control, Bluetooth connectivity and audio streaming, iPod integration, HD Radio and USB and 12V socket in center console, Radio w/Seek-Scan, Clock, Aux Audio Input Jack, Steering Wheel Controls, Voice Activation and Radio Data System, Quasi-Dual Stainless Steel Exhaust w/Polished Tailpipe Finisher, Proximity Key For Push Button Start Only, Power Rear Windows, Power Rear Child Safety Locks, Power Door Locks w/Autolock Feature, Power 1st Row Windows w/Front And Rear 1-Touch Up/Down, Perimeter/Approach Lights, Perimeter Alarm, Outside Temp Gauge, Outboard Front Lap And Shoulder Safety Belts -inc: Rear Center 3 Point and Pretensioners, Multi-Link Rear Suspension w/Coil Springs, Metal-Look Gear Shift Knob. * Stop By Today *Stop by Jaguar Palm Beach located at 915 S. Dixie Hwy, West Palm Beach, FL 33401 for a quick visit and a great vehicle! WHEEL LOCK PACKAGE -inc: Jaguar logo license plate frame, Chrome Wheel Locks, SIRIUSXM SATELLITE RADIO -inc: 3 month complimentary service, PROTECTION PACKAGE -inc: Front & Rear Rubber Mats, Collapsible Cargo Carrier, Trunk Mat, NAVIGATION - SD CARD BASED -inc: InControl Apps, CAR CARE KIT, 4G WI-FI HOTSPOT -inc: 3 month complimentary data plan, Wheels: 18 5 Split-Spoke Alloy (Style 5033), Voice Recorder, Valet Function, Trunk/Hatch Auto-Latch. This Jaguar XF has a powerful Intercooled Turbo Premium Unleaded I-4 2.0 L/122 engine powering this Automatic transmission. *These Packages Will Make Your Jaguar XF 25t Premium The Envy of Your Friends *Transmission: 8-Speed ZF Automatic -inc: 8HP45, black gearshift change paddles, Tires: 18, Tire Specific Low Tire Pressure Warning, Systems Monitor, Side Impact Beams, Seats w/Leatherette Back Material, Remote Releases -Inc: Power Cargo Access and Power Fuel, Remote Keyless Entry w/Integrated Key Transmitter, Illuminated Entry and Panic Button, Rear Fog Lamps, Rear Cupholder, Rain Detecting Variable Intermittent Wipers, Radio: Meridian 380W Sound System -inc: InControl touch w/8 capacitive touchscreen, dynamic volume control, Bluetooth connectivity and audio streaming, iPod integration, HD radio and USB, Radio w/Seek-Scan, Clock, Aux Audio Input Jack, Steering Wheel Controls, Radio Data System and 10 Gb Internal Memory, Quasi-Dual Stainless Steel Exhaust w/Chrome Tailpipe Finisher, Proximity Key For Push Button Start Only, Power Tilt/Telescoping Steering Column, Power Rear Windows, Power Rear Child Safety Locks, Power Door Locks w/Autolock Feature, Power 1st Row Windows w/Front And Rear 1-Touch Up/Down. 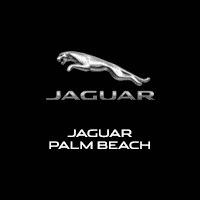 * Visit Us Today *Stop by Jaguar Palm Beach located at 915 S. Dixie Hwy, West Palm Beach, FL 33401 for a quick visit and a great vehicle! WHEEL LOCK PACKAGE -inc: Jaguar logo license plate frame, Chrome Wheel Locks, SIRIUSXM SATELLITE RADIO -inc: 3 month complimentary service, PROTECTION PACKAGE -inc: Front & Rear Rubber Mats, Collapsible Cargo Carrier, Trunk Mat, NAVIGATION - SD CARD BASED -inc: InControl Apps, CAR CARE KIT, 4G WI-FI HOTSPOT -inc: 3 month complimentary data plan, Wheels: 18 5 Split-Spoke Alloy (Style 5033), Voice Recorder, Valet Function, Trunk/Hatch Auto-Latch. This Jaguar XF has a dependable Intercooled Turbo Premium Unleaded I-4 2.0 L/122 engine powering this Automatic transmission. * Experience a Fully-Loaded Jaguar XF 25t Premium *Transmission: 8-Speed ZF Automatic -inc: 8HP45, black gearshift change paddles, Tires: 18, Tire Specific Low Tire Pressure Warning, Systems Monitor, Side Impact Beams, Seats w/Leatherette Back Material, Remote Releases -Inc: Power Cargo Access and Power Fuel, Remote Keyless Entry w/Integrated Key Transmitter, Illuminated Entry and Panic Button, Rear Fog Lamps, Rear Cupholder, Rain Detecting Variable Intermittent Wipers, Radio: Meridian 380W Sound System -inc: InControl touch w/8 capacitive touchscreen, dynamic volume control, Bluetooth connectivity and audio streaming, iPod integration, HD radio and USB, Radio w/Seek-Scan, Clock, Aux Audio Input Jack, Steering Wheel Controls, Radio Data System and 10 Gb Internal Memory, Quasi-Dual Stainless Steel Exhaust w/Chrome Tailpipe Finisher, Proximity Key For Push Button Start Only, Power Tilt/Telescoping Steering Column, Power Rear Windows, Power Rear Child Safety Locks, Power Door Locks w/Autolock Feature, Power 1st Row Windows w/Front And Rear 1-Touch Up/Down. * Stop By Today *Test drive this must-see, must-drive, must-own beauty today at Jaguar Palm Beach, 915 S. Dixie Hwy, West Palm Beach, FL 33401. Wheels: 17 7 Split-Spoke Alloy (Style 7010), Wheels w/Silver Accents, Valet Function, Trunk Rear Cargo Access, Trip Computer, Transmission: Electronic 8-Speed ZF Automatic -inc: ZF 8HP45, JaguarDrive Control w/normal, eco, dynamic and rain/ice/snow mode and steering wheel mounted shift paddles, Tires: 17, Tire Specific Low Tire Pressure Warning, Systems Monitor, Side Impact Beams. This Jaguar XE has a strong Intercooled Turbo Premium Unleaded I-4 2.0 L/122 engine powering this Automatic transmission. * Experience a Fully-Loaded Jaguar XE 25t Premium *Seats w/Leatherette Back Material, Remote Releases -Inc: Power Cargo Access and Power Fuel, Remote Keyless Entry w/Integrated Key Transmitter, Illuminated Entry and Panic Button, Rear-Wheel Drive, Rear Fog Lamps, Rear Cupholder, Rain Detecting Variable Intermittent Wipers, Radio: Meridian 380W Sound System -inc: InControl Touch 10 touchscreen, voice control, dynamic volume control, Bluetooth connectivity and audio streaming, iPod integration, HD Radio and USB and 12V socket in center console, Radio w/Seek-Scan, Clock, Aux Audio Input Jack, Steering Wheel Controls, Voice Activation and Radio Data System, Quasi-Dual Stainless Steel Exhaust w/Polished Tailpipe Finisher, Proximity Key For Push Button Start Only, Power Rear Windows, Power Rear Child Safety Locks, Power Door Locks w/Autolock Feature, Power 1st Row Windows w/Front And Rear 1-Touch Up/Down, Perimeter/Approach Lights, Perimeter Alarm, Outside Temp Gauge, Outboard Front Lap And Shoulder Safety Belts -inc: Rear Center 3 Point and Pretensioners, Multi-Link Rear Suspension w/Coil Springs. * Visit Us Today *Test drive this must-see, must-drive, must-own beauty today at Jaguar Palm Beach, 915 S. Dixie Hwy, West Palm Beach, FL 33401. Wheels: 18 9 Spoke Sparkle Silver -inc: Style 9008, Valet Function, Trip Computer, Transmission: 9-Speed Automatic, Transmission w/Driver Selectable Mode and Sequential Shift Control, Tires: 18, Systems Monitor, Strut Front Suspension w/Coil Springs, Streaming Audio, Steel Spare Wheel. This Jaguar E-PACE has a dependable Intercooled Turbo Premium Unleaded I-4 2.0 L/122 engine powering this Automatic transmission. *These Packages Will Make Your Jaguar E-PACE S The Envy of Your Friends *Smart Device Integration, Side Impact Beams, Rigid Cargo Cover, Remote Releases -Inc: Power Cargo Access and Power Fuel, Remote Keyless Entry w/Integrated Key Transmitter, Illuminated Entry and Panic Button, Rear Fog Lamps, Rear Cupholder, Real-Time Traffic Display, Rain Detecting Variable Intermittent Wipers, Radio: Jaguar Sound System -inc: navigation pro, connect pro pack (pro services, Wi-Fi hotspot and smart settings), dynamic volume control, voice control and Bluetooth connectivity, Radio w/Seek-Scan, Clock, Aux Audio Input Jack, Steering Wheel Controls, Radio Data System and External Memory Control, Quasi-Dual Stainless Steel Exhaust w/Chrome Tailpipe Finisher, Proximity Key For Push Button Start Only, Power Rear Windows, Power Rear Child Safety Locks, Power Door Locks w/Autolock Feature, Power 1st Row Windows w/Front And Rear 1-Touch Up/Down, Permanent Locking Hubs, Perimeter/Approach Lights, Perimeter Alarm. * Stop By Today *Come in for a quick visit at Jaguar Palm Beach, 915 S. Dixie Hwy, West Palm Beach, FL 33401 to claim your Jaguar E-PACE! Wheels: 18 9 Spoke Sparkle Silver -inc: Style 9008, Valet Function, Trip Computer, Transmission: 9-Speed Automatic, Transmission w/Driver Selectable Mode and Sequential Shift Control, Tires: 18, Systems Monitor, Strut Front Suspension w/Coil Springs, Streaming Audio, Steel Spare Wheel. This Jaguar E-PACE has a strong Intercooled Turbo Premium Unleaded I-4 2.0 L/122 engine powering this Automatic transmission. *These Packages Will Make Your Jaguar E-PACE S The Envy of Your Friends *Smart Device Integration, Side Impact Beams, Rigid Cargo Cover, Remote Releases -Inc: Power Cargo Access and Power Fuel, Remote Keyless Entry w/Integrated Key Transmitter, Illuminated Entry and Panic Button, Rear Fog Lamps, Rear Cupholder, Real-Time Traffic Display, Rain Detecting Variable Intermittent Wipers, Radio: Jaguar Sound System -inc: navigation pro, connect pro pack (pro services, Wi-Fi hotspot and smart settings), dynamic volume control, voice control and Bluetooth connectivity, Radio w/Seek-Scan, Clock, Aux Audio Input Jack, Steering Wheel Controls, Radio Data System and External Memory Control, Quasi-Dual Stainless Steel Exhaust w/Chrome Tailpipe Finisher, Proximity Key For Push Button Start Only, Power Rear Windows, Power Rear Child Safety Locks, Power Door Locks w/Autolock Feature, Power 1st Row Windows w/Front And Rear 1-Touch Up/Down, Permanent Locking Hubs, Perimeter/Approach Lights, Perimeter Alarm. * Stop By Today *Test drive this must-see, must-drive, must-own beauty today at Jaguar Palm Beach, 915 S. Dixie Hwy, West Palm Beach, FL 33401. Wheels: 17 7 Split-Spoke Alloy (Style 7010), Wheels w/Silver Accents, Valet Function, Trunk Rear Cargo Access, Trip Computer, Transmission: Electronic 8-Speed ZF Automatic -inc: ZF 8HP45, JaguarDrive Control w/normal, eco, dynamic and rain/ice/snow mode and steering wheel mounted shift paddles, Tires: 17, Tire Specific Low Tire Pressure Warning, Systems Monitor, Single Stainless Steel Exhaust w/Polished Tailpipe Finisher. This Jaguar XE has a strong Intercooled Turbo Diesel I-4 2.0 L/122 engine powering this Automatic transmission. *This Jaguar XE 20d Premium Has Everything You Want *Side Impact Beams, Seats w/Leatherette Back Material, Remote Releases -Inc: Power Cargo Access and Power Fuel, Remote Keyless Entry w/Integrated Key Transmitter, Illuminated Entry and Panic Button, Rear-Wheel Drive, Rear Fog Lamps, Rear Cupholder, Rain Detecting Variable Intermittent Wipers, Radio: Meridian 380W Sound System -inc: InControl Touch 10 touchscreen, voice control, dynamic volume control, Bluetooth connectivity and audio streaming, iPod integration, HD Radio and USB and 12V socket in center console, Radio w/Seek-Scan, Clock, Aux Audio Input Jack, Steering Wheel Controls, Voice Activation and Radio Data System, Proximity Key For Push Button Start Only, Power Rear Windows, Power Rear Child Safety Locks, Power Door Locks w/Autolock Feature, Power 1st Row Windows w/Front And Rear 1-Touch Up/Down, Perimeter/Approach Lights, Perimeter Alarm, Outside Temp Gauge, Outboard Front Lap And Shoulder Safety Belts -inc: Rear Center 3 Point and Pretensioners, Multi-Link Rear Suspension w/Coil Springs. * Visit Us Today *For a must-own Jaguar XE come see us at Jaguar Palm Beach, 915 S. Dixie Hwy, West Palm Beach, FL 33401. Just minutes away! SIRIUSXM SATELLITE RADIO & HD RADIO -inc: 3-month complimentary service, SANTORINI BLACK METALLIC, RADIO: MERIDIAN 380W SOUND SYSTEM -inc: dynamic volume control, voice control and Bluetooth connectivity, POWERED TAILGATE, KEYLESS ENTRY, HOMELINK GARAGE DOOR OPENER, FIXED PANORAMIC ROOF, DRIVE PACKAGE -inc: Adaptive Cruise Control w/Queue Assist, High Speed Emergency Braking, Blind Spot Assist, Adaptive Speed Limiter, CHROME SIDE WINDOW SURROUND, 10-WAY HEATED FRONT SEATS. This Jaguar E-PACE has a powerful Intercooled Turbo Premium Unleaded I-4 2.0 L/122 engine powering this Automatic transmission. * Experience a Fully-Loaded Jaguar E-PACE R-Dynamic S *Wheels w/Silver Accents, Valet Function, Trip Computer, Transmission: ZF 9-Speed Automatic, Transmission w/Driver Selectable Mode and Sequential Shift Control w/Steering Wheel Controls, Tires: 18 All-Season, Systems Monitor, Strut Front Suspension w/Coil Springs, Streaming Audio, Steel Spare Wheel, Sport Leather/Metal-Look Steering Wheel, Smart Device Integration, Side Impact Beams, Seats w/Leatherette Back Material, Rigid Cargo Cover, Remote Releases -Inc: Power Cargo Access and Power Fuel, Remote Keyless Entry w/Integrated Key Transmitter, Illuminated Entry and Panic Button, Rear Cupholder, Real-Time Traffic Display, Rain Detecting Variable Intermittent Wipers. * Stop By Today *Stop by Jaguar Palm Beach located at 915 S. Dixie Hwy, West Palm Beach, FL 33401 for a quick visit and a great vehicle! Wheels: 20 6 Split-Spoke w/Satin Gray Diamond -inc: Turned finish, Style 6014, Valet Function, Trunk/Hatch Auto-Latch, Trip Computer, Transmission: ZF 9-Speed Automatic, Transmission w/Driver Selectable Mode and Sequential Shift Control w/Steering Wheel Controls, Tires: 20 All-Season, Systems Monitor, Strut Front Suspension w/Coil Springs, Streaming Audio. This Jaguar E-PACE has a powerful Intercooled Turbo Premium Unleaded I-4 2.0 L/122 engine powering this Automatic transmission. *These Packages Will Make Your Jaguar E-PACE First Edition The Envy of Your Friends *Steel Spare Wheel, Sport Leather/Metal-Look Steering Wheel, Smart Device Integration, SiriusXM Satellite Radio & HD Radio -inc: 3-month complimentary service, Side Impact Beams, Seats w/Leatherette Back Material, Rigid Cargo Cover, Remote Releases -Inc: Proximity Cargo Access and Power Fuel, Remote Keyless Entry w/Integrated Key Transmitter, Illuminated Entry and Panic Button, Redundant Digital Speedometer, Rear Cupholder, Real-Time Traffic Display, Rain Detecting Variable Intermittent Wipers, Radio: Meridian 380W Sound System -inc: dynamic volume control, voice control and Bluetooth connectivity, Radio w/Seek-Scan, Clock, Aux Audio Input Jack, Steering Wheel Controls, Radio Data System and External Memory Control, Quasi-Dual Stainless Steel Exhaust w/Chrome Tailpipe Finisher, Proximity Key For Doors And Push Button Start, Power Rear Windows, Power Rear Child Safety Locks, Power Liftgate Rear Cargo Access. * Stop By Today *Come in for a quick visit at Jaguar Palm Beach, 915 S. Dixie Hwy, West Palm Beach, FL 33401 to claim your Jaguar E-PACE! Wheels: 19 10 Spoke Sparkle Silver -inc: Style 1039, Valet Function, Trunk/Hatch Auto-Latch, Trip Computer, Transmission: 9-Speed Automatic, Transmission w/Driver Selectable Mode and Sequential Shift Control, Tires: 19, Systems Monitor, Strut Front Suspension w/Coil Springs, Streaming Audio. This Jaguar E-PACE has a strong Intercooled Turbo Premium Unleaded I-4 2.0 L/122 engine powering this Automatic transmission. *These Packages Will Make Your Jaguar E-PACE SE The Envy of Your Friends *Steel Spare Wheel, Smart Device Integration, Side Impact Beams, Rigid Cargo Cover, Remote Releases -Inc: Power Cargo Access and Power Fuel, Remote Keyless Entry w/Integrated Key Transmitter, Illuminated Entry and Panic Button, Rear Fog Lamps, Rear Cupholder, Real-Time Traffic Display, Rain Detecting Variable Intermittent Wipers, Radio: Meridian 380W Sound System -inc: navigation pro, connect pro pack (pro services, Wi-Fi hotspot and smart settings), dynamic volume control, voice control and Bluetooth connectivity, Quasi-Dual Stainless Steel Exhaust w/Chrome Tailpipe Finisher, Proximity Key For Push Button Start Only, Power Rear Windows, Power Rear Child Safety Locks, Power Liftgate Rear Cargo Access, Power Door Locks w/Autolock Feature, Power 1st Row Windows w/Front And Rear 1-Touch Up/Down, Permanent Locking Hubs, Perimeter/Approach Lights. * Visit Us Today *Test drive this must-see, must-drive, must-own beauty today at Jaguar Palm Beach, 915 S. Dixie Hwy, West Palm Beach, FL 33401. Wheels: 17 7 Split-Spoke Alloy (Style 7010), Wheels w/Silver Accents, Valet Function, Trunk Rear Cargo Access, Trip Computer, Transmission: Electronic 8-Speed ZF Automatic -inc: ZF 8HP45, JaguarDrive Control w/normal, eco, dynamic and rain/ice/snow mode and steering wheel mounted shift paddles, Tires: 17, Tire Specific Low Tire Pressure Warning, Systems Monitor, Single Stainless Steel Exhaust w/Polished Tailpipe Finisher. This Jaguar XE has a dependable Intercooled Turbo Diesel I-4 2.0 L/122 engine powering this Automatic transmission. * Experience a Fully-Loaded Jaguar XE 20d Premium *Side Impact Beams, Seats w/Leatherette Back Material, Remote Releases -Inc: Power Cargo Access and Power Fuel, Remote Keyless Entry w/Integrated Key Transmitter, Illuminated Entry and Panic Button, Rear-Wheel Drive, Rear Fog Lamps, Rear Cupholder, Rain Detecting Variable Intermittent Wipers, Radio: Meridian 380W Sound System -inc: InControl Touch 10 touchscreen, voice control, dynamic volume control, Bluetooth connectivity and audio streaming, iPod integration, HD Radio and USB and 12V socket in center console, Radio w/Seek-Scan, Clock, Aux Audio Input Jack, Steering Wheel Controls, Voice Activation and Radio Data System, Proximity Key For Push Button Start Only, Power Rear Windows, Power Rear Child Safety Locks, Power Door Locks w/Autolock Feature, Power 1st Row Windows w/Front And Rear 1-Touch Up/Down, Perimeter/Approach Lights, Perimeter Alarm, Outside Temp Gauge, Outboard Front Lap And Shoulder Safety Belts -inc: Rear Center 3 Point and Pretensioners, Multi-Link Rear Suspension w/Coil Springs. * Visit Us Today *For a must-own Jaguar XE come see us at Jaguar Palm Beach, 915 S. Dixie Hwy, West Palm Beach, FL 33401. Just minutes away! WHEEL LOCK PACKAGE -inc: Chrome Wheel Locks, Jaguar License Plate Frame, TECHNOLOGY PACKAGE -inc: Radio: Meridian 825W Surround Audio System, 10 touchscreen, Touch Pro SSD based navigation, 10GB onboard media storage and single slot CD/DVD player, connected navigation and interactive driver display, Wi-Fi Hotspot, 3 month complimentary data plan, FIRENZE RED, COMFORT & CONVENIENCE PACKAGE -inc: Heated Rear Seats, Electric Rear Window Sunblind, Powered Open/Close Gesture Trunk Lid, Cooled Front Seats, CAR CARE KIT, BLACK DESIGN PACKAGE -inc: Gloss Black Side Vents, Gloss Black Radiator Grille w/Gloss Black Surround, Wheels: 19 15 Spoke (Style 1015) w/Gloss Black -inc: diamond turned finish, Valet Function, Trunk Rear Cargo Access, Trip Computer. This Jaguar XE has a dependable Intercooled Supercharger Premium Unleaded V-6 3.0 L/183 engine powering this Automatic transmission. *These Packages Will Make Your Jaguar XE S The Envy of Your Friends *Sport Heated Leather/Metal-Look Steering Wheel w/Auto Tilt-Away, SiriusXM Satellite Radio -inc: 3 month complimentary subscription, Side Impact Beams, Rocker Panel Extensions, Remote Releases -Inc: Power Cargo Access and Power Fuel, Remote Keyless Entry w/Integrated Key Transmitter, Illuminated Entry and Panic Button, Rear-Wheel Drive, Rear Fog Lamps, Rear Cupholder, Rain Detecting Variable Intermittent Wipers, Radio: Meridian 380W Sound System w/11 Speakers -inc: Navigation (SD card), voice control, InControl apps, InControl Touch 8 touchscreen display, dynamic volume control, Bluetooth connectivity and audio streaming, iPod integration, HD Radio and USB and 12V socket in center console, Radio w/Seek-Scan, Clock, Aux Audio Input Jack, Steering Wheel Controls and Radio Data System, Quasi-Dual Stainless Steel Exhaust w/Polished Tailpipe Finisher, Proximity Key For Doors And Push Button Start, Power Tilt/Telescoping Steering Column, Power Rear Windows, Power Rear Child Safety Locks, Power Door Locks w/Autolock Feature, Power 1st Row Windows w/Front And Rear 1-Touch Up/Down, Perimeter/Approach Lights. * Visit Us Today *Test drive this must-see, must-drive, must-own beauty today at Jaguar Palm Beach, 915 S. Dixie Hwy, West Palm Beach, FL 33401. Wheels: 19 10 Spoke Sparkle Silver -inc: Style 1039, Valet Function, Trunk/Hatch Auto-Latch, Trip Computer, Transmission: 9-Speed Automatic, Transmission w/Driver Selectable Mode and Sequential Shift Control, Tires: 19, Systems Monitor, Strut Front Suspension w/Coil Springs, Streaming Audio. This Jaguar E-PACE has a strong Intercooled Turbo Premium Unleaded I-4 2.0 L/122 engine powering this Automatic transmission. *These Packages Will Make Your Jaguar E-PACE SE The Envy of Your Friends *Steel Spare Wheel, Smart Device Integration, Side Impact Beams, Rigid Cargo Cover, Remote Releases -Inc: Power Cargo Access and Power Fuel, Remote Keyless Entry w/Integrated Key Transmitter, Illuminated Entry and Panic Button, Rear Fog Lamps, Rear Cupholder, Real-Time Traffic Display, Rain Detecting Variable Intermittent Wipers, Radio: Meridian 380W Sound System -inc: navigation pro, connect pro pack (pro services, Wi-Fi hotspot and smart settings), dynamic volume control, voice control and Bluetooth connectivity, Quasi-Dual Stainless Steel Exhaust w/Chrome Tailpipe Finisher, Proximity Key For Push Button Start Only, Power Rear Windows, Power Rear Child Safety Locks, Power Liftgate Rear Cargo Access, Power Door Locks w/Autolock Feature, Power 1st Row Windows w/Front And Rear 1-Touch Up/Down, Permanent Locking Hubs, Perimeter/Approach Lights. * Stop By Today *Come in for a quick visit at Jaguar Palm Beach, 915 S. Dixie Hwy, West Palm Beach, FL 33401 to claim your Jaguar E-PACE! Wheels: 17 7 Split-Spoke Alloy (Style 7010), Wheels w/Silver Accents, Valet Function, Trunk Rear Cargo Access, Trip Computer, Transmission: Electronic 8-Speed ZF Automatic -inc: ZF 8HP45, JaguarDrive Control w/normal, eco, dynamic and rain/ice/snow mode and steering wheel mounted shift paddles, Tires: 17, Tire Specific Low Tire Pressure Warning, Systems Monitor, Side Impact Beams. This Jaguar XE has a strong Intercooled Turbo Premium Unleaded I-4 2.0 L/122 engine powering this Automatic transmission. *These Packages Will Make Your Jaguar XE 25t Premium The Envy of Your Friends *Seats w/Leatherette Back Material, Remote Releases -Inc: Power Cargo Access and Power Fuel, Remote Keyless Entry w/Integrated Key Transmitter, Illuminated Entry and Panic Button, Rear Fog Lamps, Rear Cupholder, Rain Detecting Variable Intermittent Wipers, Radio: Meridian 380W Sound System -inc: InControl Touch 10 touchscreen, voice control, dynamic volume control, Bluetooth connectivity and audio streaming, iPod integration, HD Radio and USB and 12V socket in center console, Radio w/Seek-Scan, Clock, Aux Audio Input Jack, Steering Wheel Controls, Voice Activation and Radio Data System, Quasi-Dual Stainless Steel Exhaust w/Polished Tailpipe Finisher, Proximity Key For Push Button Start Only, Power Rear Windows, Power Rear Child Safety Locks, Power Door Locks w/Autolock Feature, Power 1st Row Windows w/Front And Rear 1-Touch Up/Down, Perimeter/Approach Lights, Perimeter Alarm, Outside Temp Gauge, Outboard Front Lap And Shoulder Safety Belts -inc: Rear Center 3 Point and Pretensioners, Multi-Link Rear Suspension w/Coil Springs, Metal-Look Gear Shift Knob. * Visit Us Today *Stop by Jaguar Palm Beach located at 915 S. Dixie Hwy, West Palm Beach, FL 33401 for a quick visit and a great vehicle! Wheels: 17 7 Split-Spoke Alloy (Style 7010), Wheels w/Silver Accents, Valet Function, Trunk Rear Cargo Access, Trip Computer, Transmission: Electronic 8-Speed ZF Automatic -inc: ZF 8HP45, JaguarDrive Control w/normal, eco, dynamic and rain/ice/snow mode and steering wheel mounted shift paddles, Tires: 17, Tire Specific Low Tire Pressure Warning, Systems Monitor, Side Impact Beams. This Jaguar XE has a strong Intercooled Turbo Premium Unleaded I-4 2.0 L/122 engine powering this Automatic transmission. * Experience a Fully-Loaded Jaguar XE 25t Premium *Seats w/Leatherette Back Material, Remote Releases -Inc: Power Cargo Access and Power Fuel, Remote Keyless Entry w/Integrated Key Transmitter, Illuminated Entry and Panic Button, Rear Fog Lamps, Rear Cupholder, Rain Detecting Variable Intermittent Wipers, Radio: Meridian 380W Sound System -inc: InControl Touch 10 touchscreen, voice control, dynamic volume control, Bluetooth connectivity and audio streaming, iPod integration, HD Radio and USB and 12V socket in center console, Radio w/Seek-Scan, Clock, Aux Audio Input Jack, Steering Wheel Controls, Voice Activation and Radio Data System, Quasi-Dual Stainless Steel Exhaust w/Polished Tailpipe Finisher, Proximity Key For Push Button Start Only, Power Rear Windows, Power Rear Child Safety Locks, Power Door Locks w/Autolock Feature, Power 1st Row Windows w/Front And Rear 1-Touch Up/Down, Perimeter/Approach Lights, Perimeter Alarm, Outside Temp Gauge, Outboard Front Lap And Shoulder Safety Belts -inc: Rear Center 3 Point and Pretensioners, Multi-Link Rear Suspension w/Coil Springs, Metal-Look Gear Shift Knob. * Visit Us Today *A short visit to Jaguar Palm Beach located at 915 S. Dixie Hwy, West Palm Beach, FL 33401 can get you a trustworthy XE today!